Angolan president-elect Joao Lourenco. Courtesy photo. LUANDA – One of Angola’s main opposition parties plans to contest the results of last week’s general election alleging unfair conduct during the vote that kept the ruling party of former president Jose Eduardo Dos Santos in power. 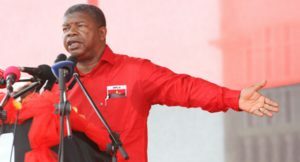 The ruling Popular Movement for the Liberation of Angola (MPLA) party won slightly 61 percent of the votes cast on Wednesday and about 150 of the 220 seats in Parliament according to election commission officials, which would put a Dos Santos loyalist, Joao Lourenco, in the presidency. “We do not accept these results, not because they show the MPLA in front, but because we don’t think they are true,” said deputy party leader Rafael Massanga Savimbi. He said UNITA had found “substantial differences” between its own tallies at voting stations and those of the electoral commission. “We are going to the courts,” said Savimbi, son of the UNITA founder Jonas Savimbi, whose death in 2002 during the civil war against Dos Santos’s forces paved the way for a ceasefire after 27 years of fighting. “It’s a crime to manipulate or distort the people’s will,” he said. The MPLA, which has ruled since Angola’s independence from Portugal in 1975, had predicted it would easily win, but the result showed a fall in support from the last election in 2012. Dos Santos’s long reign saw the end of Angola’s bloody civil war (1975-2002) and a post-conflict investment boom as the country exploited its oil reserves.